This year’s hairy crab season clawed its way into international news headlines, triggered by a furore in Taiwan when a batch of Chinese hairy crabs was allegedly detected with nitrofuran, a cancer-causing agent. 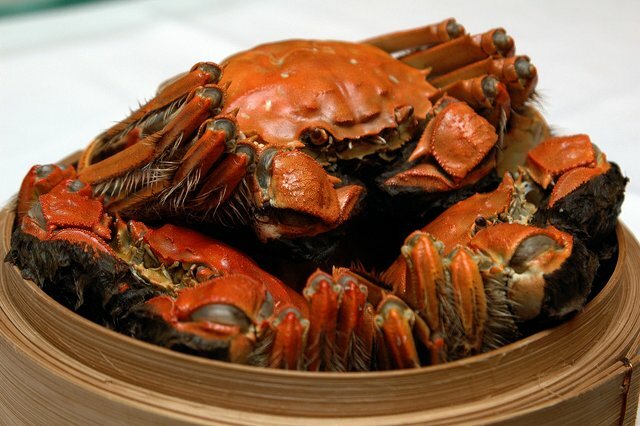 Consequently, this prompted a Chinese crab exporter to offer a one million yuan (approximately RM469,000) reward to any Taiwanese health inspectors who succeed in finding any trace of carcinogen in other hairy crab consignments as a measure to restore consumers’ confidence. Back at the famed Yangcheng Lake in the Chinese eastern province of Jiangsu – home of the hairy crabs – counterfeit crabs appeared on the market despite numerous measures undertaken by the Yangcheng Lake Crab Farmers Association to set the real McCoys apart. In Hong Kong, a thief was nabbed by local police after his unsuccessful theft of these gourmet crabs worth a princely USD1,280 (RM4,736) from a restaurant. These incidents only served to elevate the snob appeal of these pricey creatures. According to The Asian Wall Street Journal food writer, Stan Sesser, some Hong Kongers have even gone to the extent of eating hairy crabs ‘tycoon-style’ – consuming only the deep-orange hued roe found in female crabs without bothering with the rest of the crabs. A sheer waste considering how sweet and sublime the hairy crab meat is, especially when it is skillfully prepared by experts like Shang Palace’s executive Chinese chef, Leung Sing Cheung. So what's the fuss about? Well, you won't really know until you sampled one of these hairy crustaceans. One of the few truly seasonal delicacies left, no Chinese food connoisseurs will forgo the chance of savouring these distinctive grey-green crabs with furry claws and legs come late autumn. 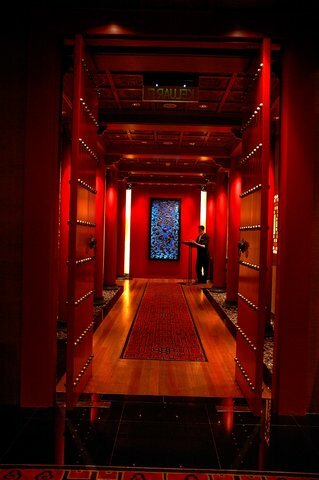 Local hairy crab lovers can feast on these pricey, princely delights in the Shang Palace’s imperial setting. The splendid six-course menu (RM238++ per person) starts with warm, satisfying bowl of Braised Shark’s Fin with Hairy Crab Roe and Sea Urchin. Not a very politically correct soup to have but ... it tasted oh so good! Thick strands of shark’s fin, egg-yolk rich crab roe, chunky crab meat and delicate sea urchin - they make an unbeatable combination. The piece de resistance – a whole hairy crab steamed the traditional way – is first cut up with surgical precision by the staff for easy eating. What a luxury it is to simply scoop up the scrumptious roe from within the top shell and devour the sweet, fleshy crab meat from the crustacean’s spindly legs. Surprisingly the claw meat turns out to be the most disappointing part unlike other crabs. 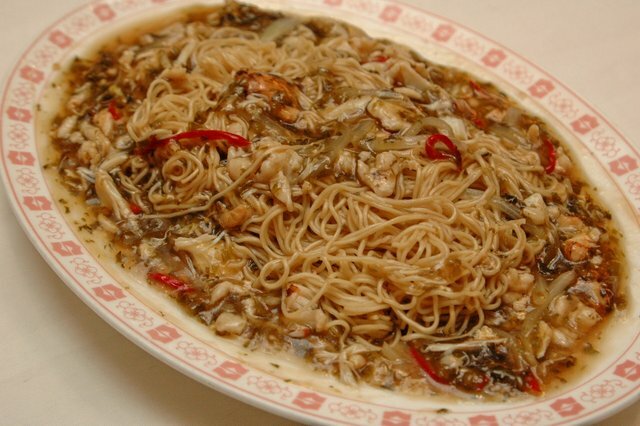 The crab meat's inherent sweetness is heightened by the black vinegar and minced ginger dip. Since the Chinese believe the consumption of hairy crabs has a cooling effect on the body, a warm cup of sweetened ginger tea is always served to neutralize this effect. 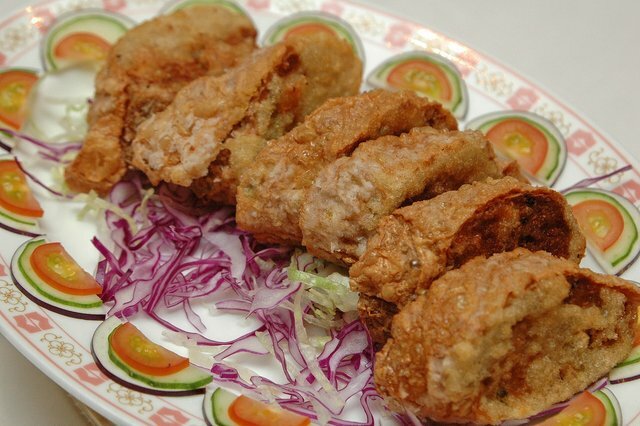 The Deep-fried Beancurd Roll Stuffed with Minced Meat and Crab Meat stands out in nice contrast with the Stewed Dried Fish Maw with Hairy Crab Roe and Wolfberries. Wonderfully crisp on the outside, the beancurd roll yields a most delectable filling inside. 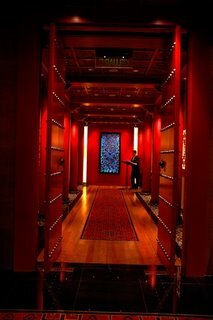 The latter is an apt showcase of delicated Cantonese nuances in which the fish maw’s bland, spongy texture acts as the perfect foil to offset the flavourful crab roe and meat whilst simultaneously emphasizing the wolfberries’ subtle sweetness. Delicious stewed noodles with shredded chicken, hairy crab meat and suet choy (a type of preserved vegetable) and glutinous balls stuffed with black sesame paste in sweetened ginger tea round off this noteworthy menu.